Maria Felix and admirers in May God Forgive Me. At the Berkeley Art Museum Pacific Film Archive, May 7-June 11. 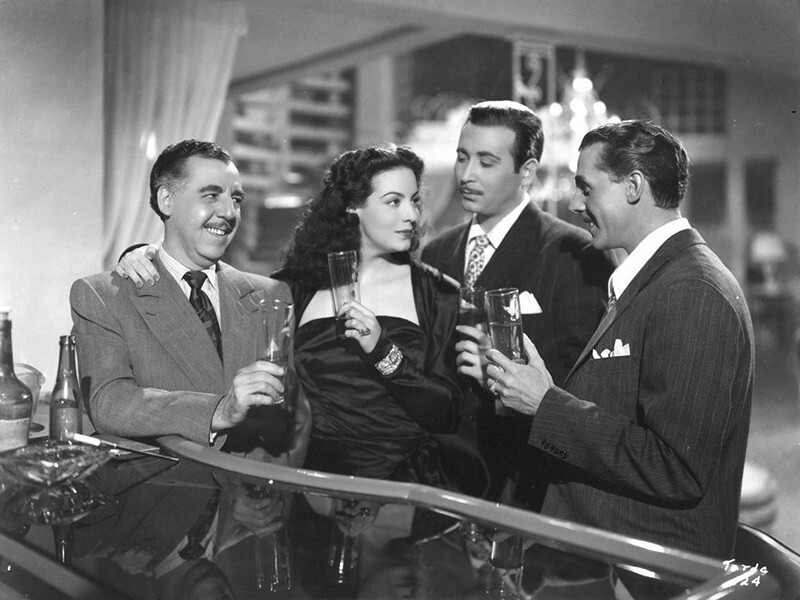 Stateside aficionados long ago discovered the splendors of the Mexican angle on the classic post-WWII crime pics called film noir, but the movies have always been hard to find. Lately, such Bay Area noirista programmers as Eddie Muller and Elliot Lavine have been delving into South of the Border vaults in search of rare period pieces by Emilio "El Indio" Fernández and other major stylists. Turns out the Berkeley Art Museum and Pacific Film Archive got there first. 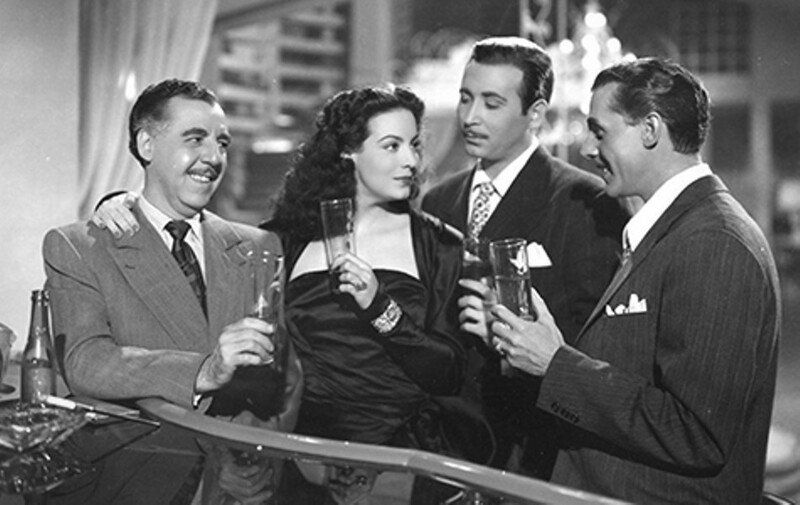 Going back more than twenty years, BAMPFA has rolled out a string of important traveling series of vintage Mexican films, including noirs, from various sources in Mexico and the US. The latest of these is "Mexican Film Noir," a concise, eight-film package of melodramas, circa 1943-1953, from directors Julio Bracho, Roberto Gavaldón, Tito Davison, and Alejandro Galindo — guest curated by José Manuel García of Filmoteca UNAM in Mexico City with help from Kathy Geritz at BAMPFA. Studded with screen personalities and drenched in the Mexican point of view (so different from that of the gringos), it's a must-see for noir lovers. The top pick might be May God Forgive Me (Que Dios me perdone), director Davison's luxuriously dismal 1948 vehicle for movie goddess María Félix. In it, she portrays an international woman of mystery who at first appears to be gold-digging amongst the newly modernized citizens of President Miguel Alemán's country. Lena Kovach (or Sofía), from Poland (or was it Constantinople? ), is hiding a terrible secret, of course. It involves a rich and unwitting businessman, one or two shady shakedown artists, an awe-inspiring diamond bracelet, and numerous get-dead-quick schemes. The overriding theme, in common with most of the other films in the series, is that with newfound prosperity comes fresh opportunity for perilous hanky-panky. Alex Phillips' camera loves Ms. Félix, and so will you.